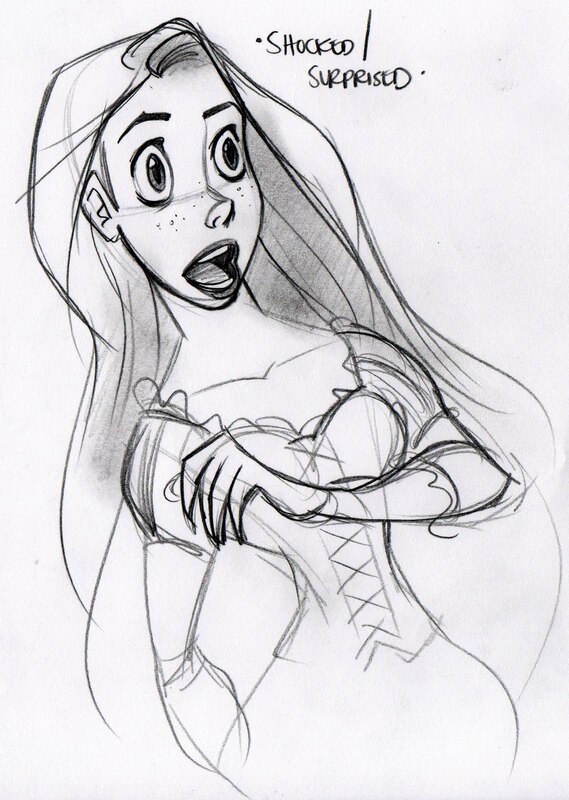 One of the assignments due this week for Michael Buffington's Character Design class was the 25 Essential Expressions Challenge. 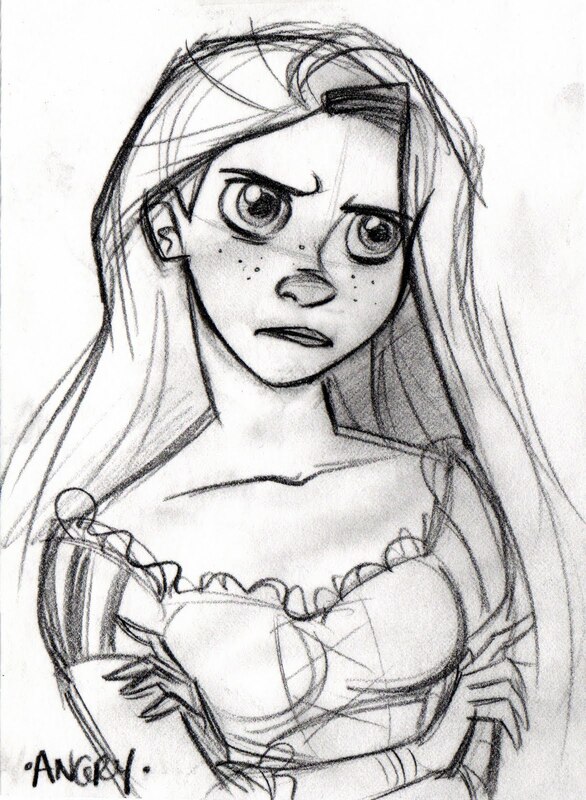 For this assignment, now stay with me on this, we essentially had to pick a character and draw them acting out 25 different expressions. 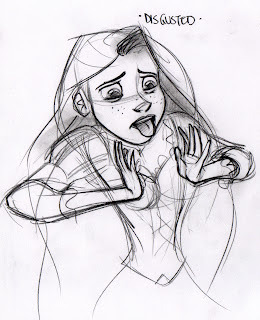 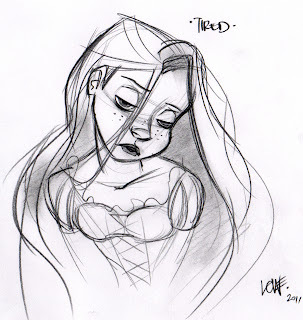 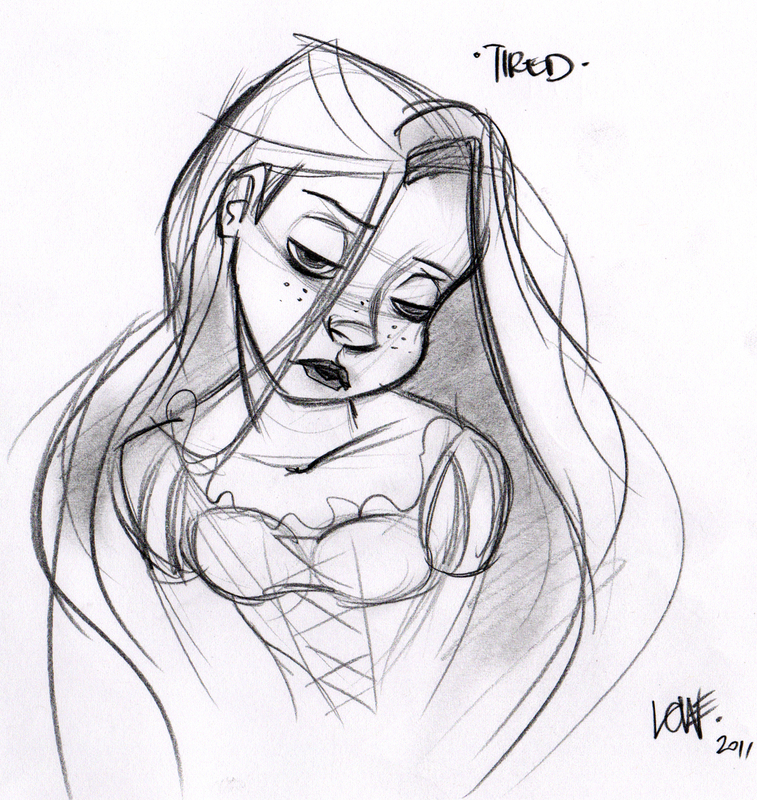 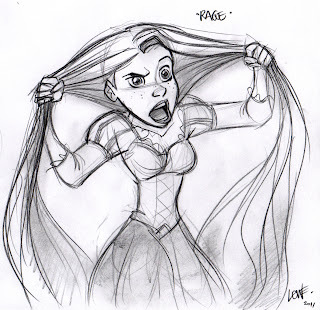 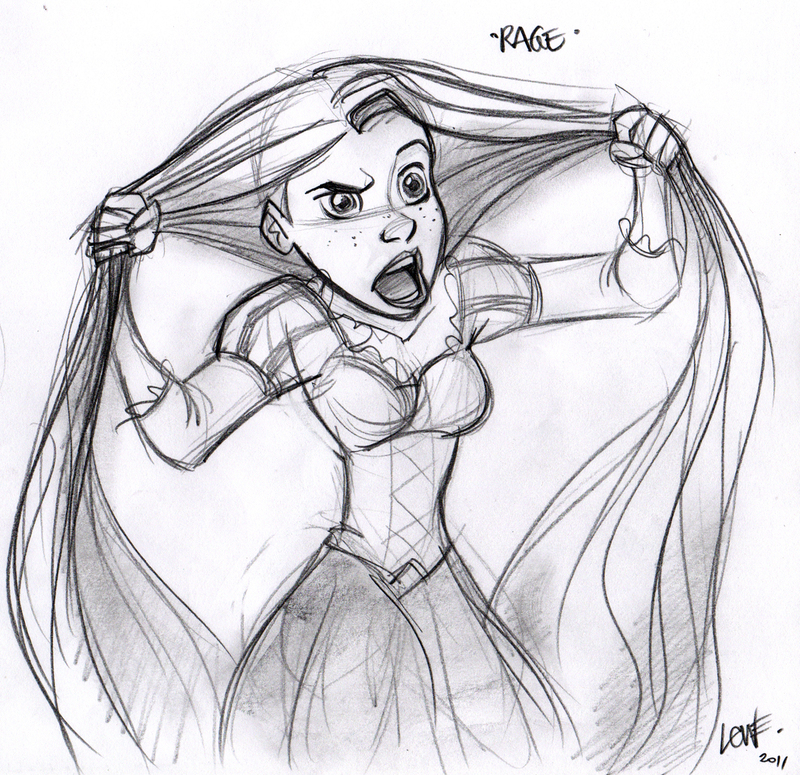 As we all know, Disney's Tangled just came out on Blu-Ray/DVD and it is just so fantastic and inspiring. 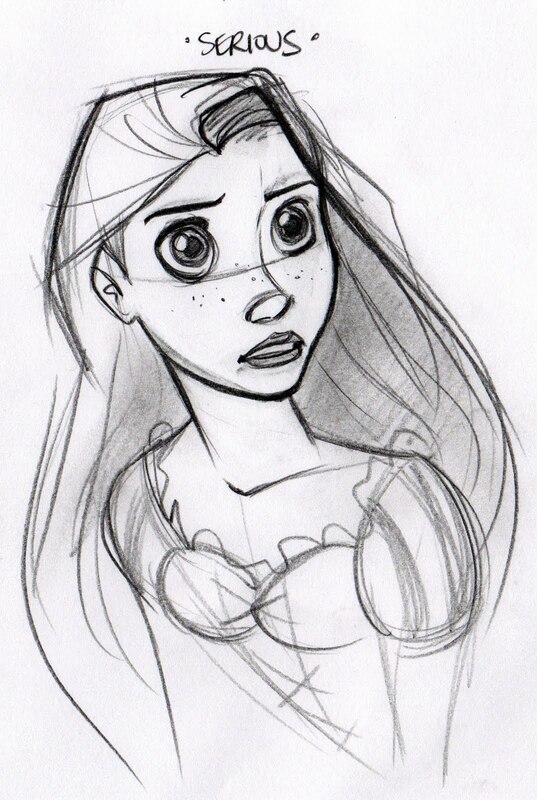 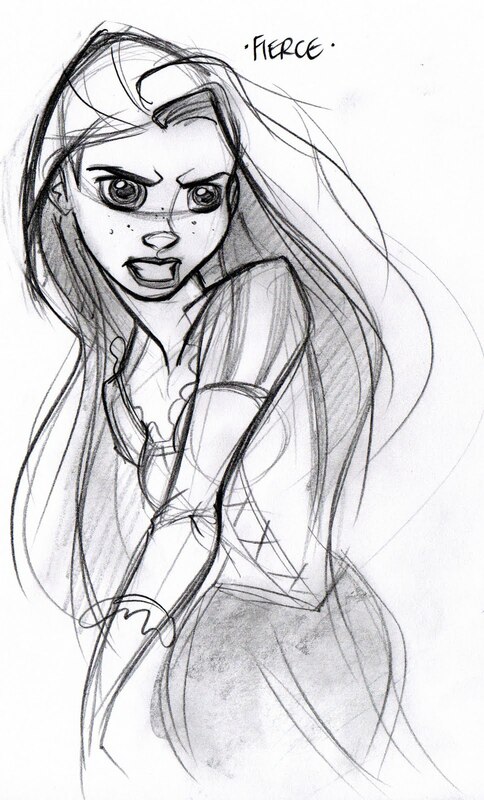 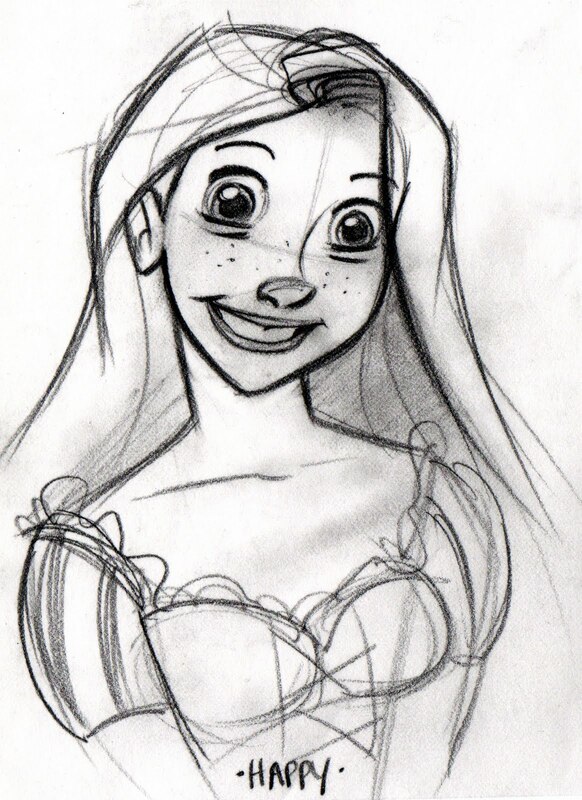 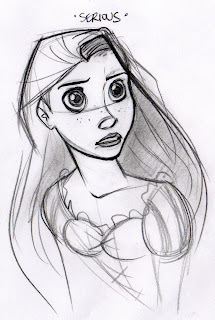 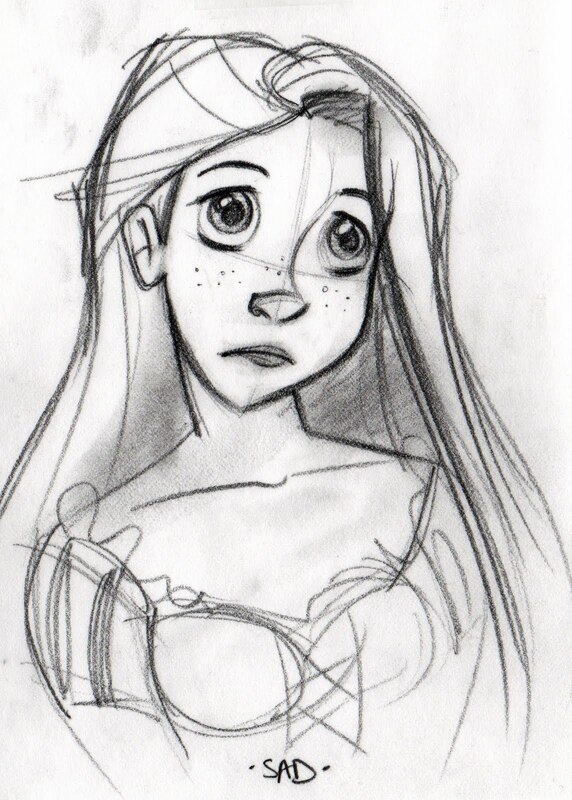 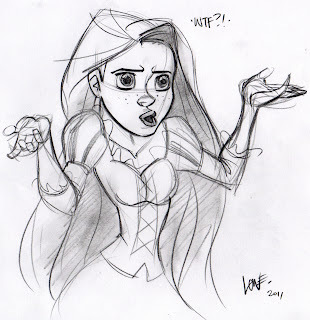 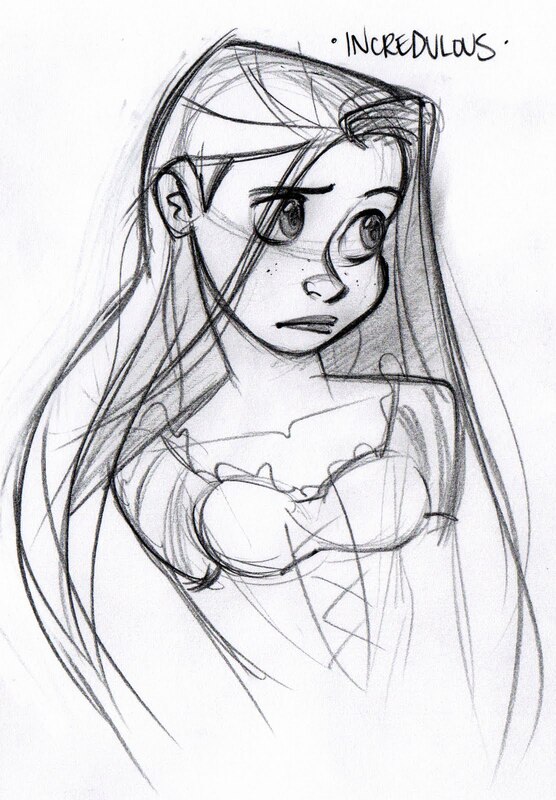 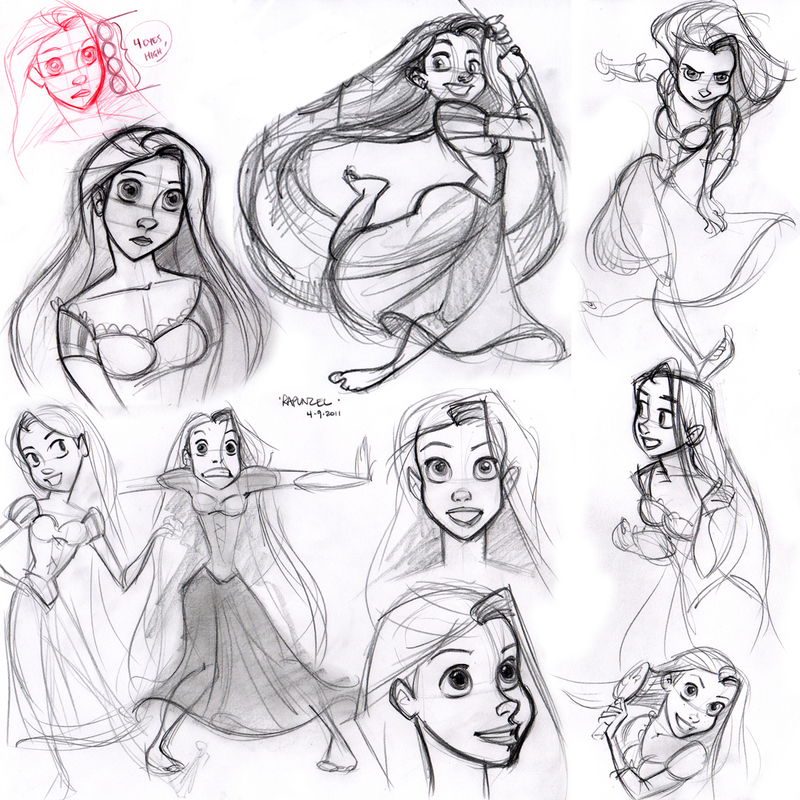 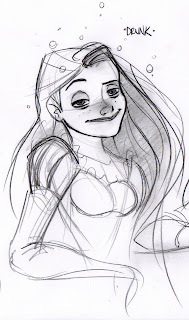 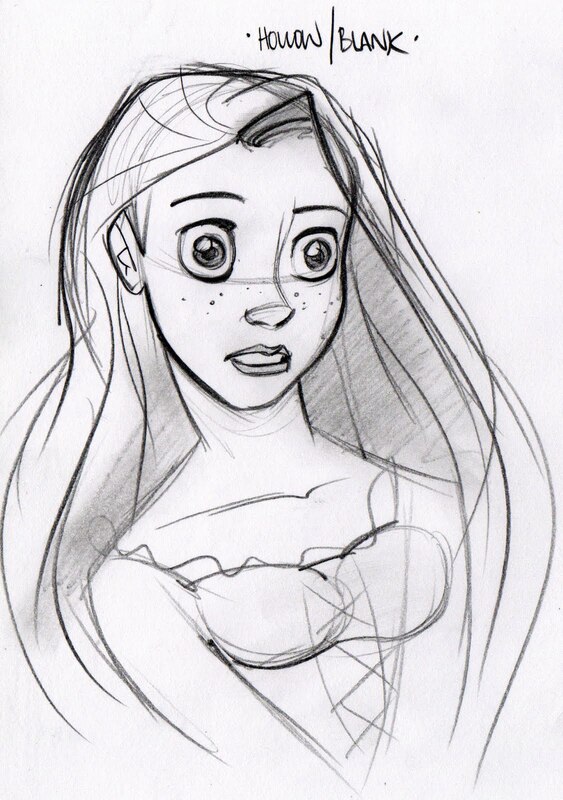 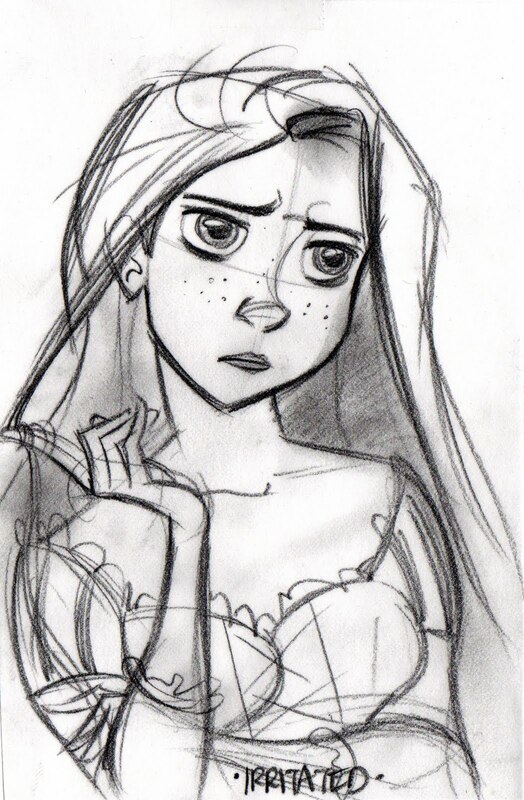 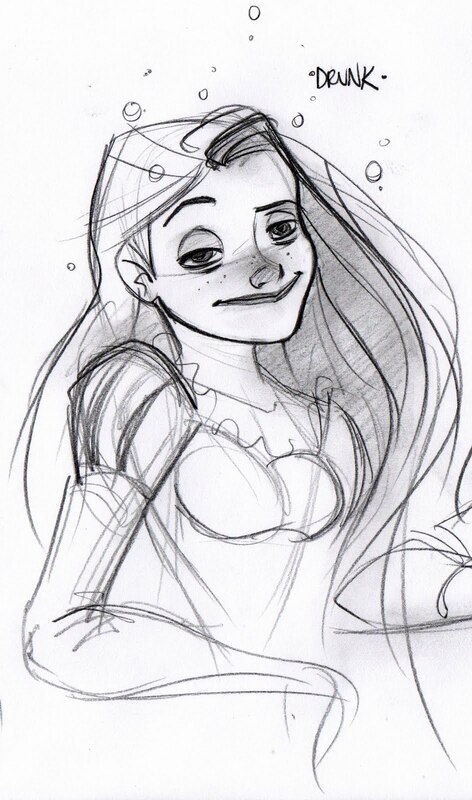 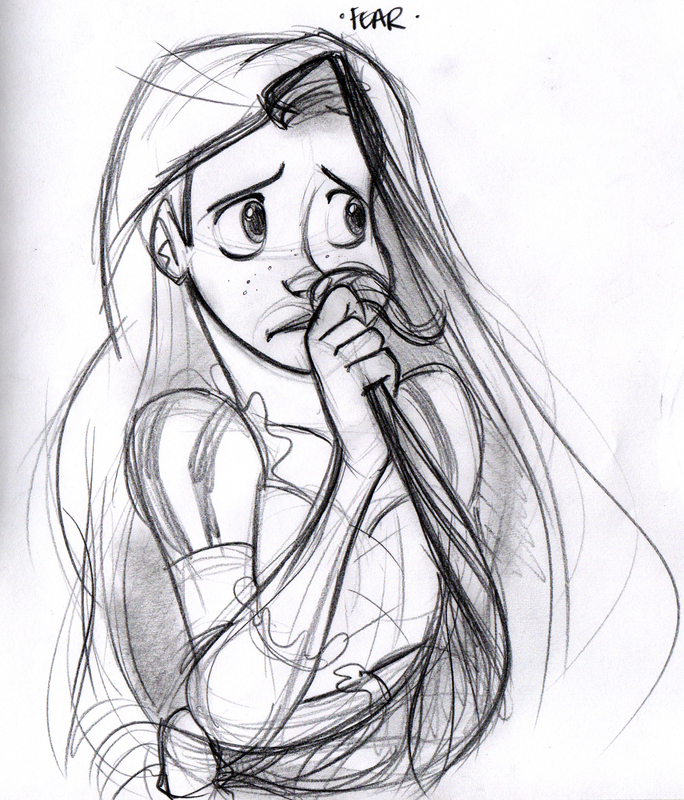 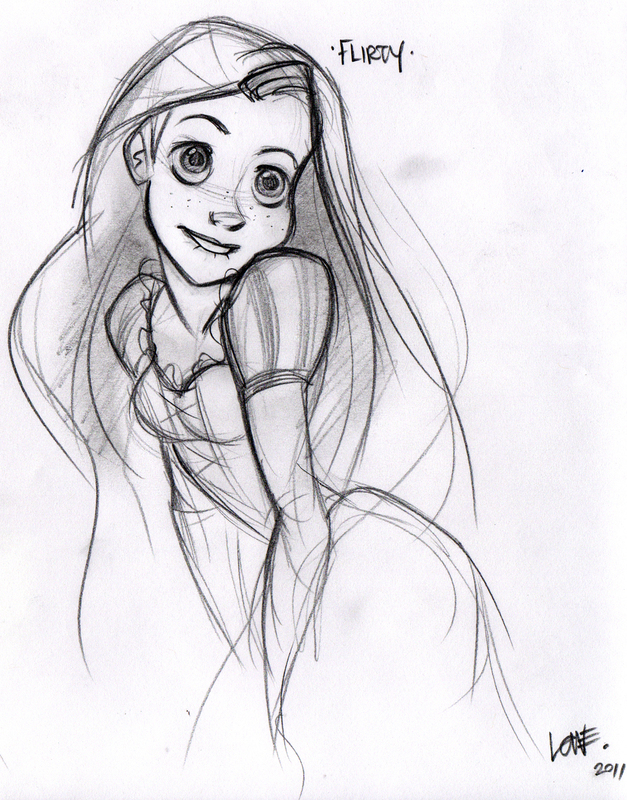 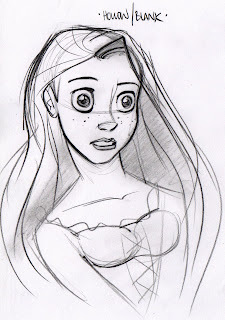 Then when you add in the "Art of" book with all those Glen Keane drawings in it?? 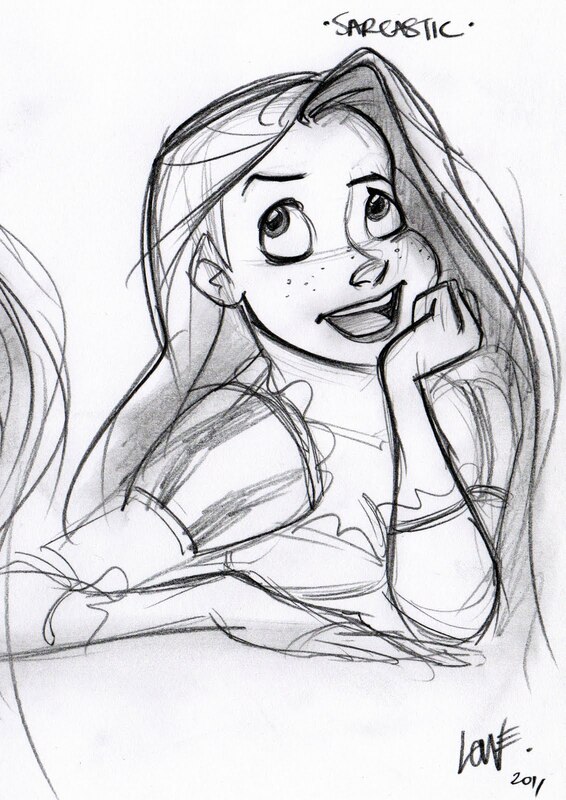 ...well, I thought I'd go digging where the inspiration was ready to explode, hoping I'd find some gold or oil or at least a diamond in the rough. 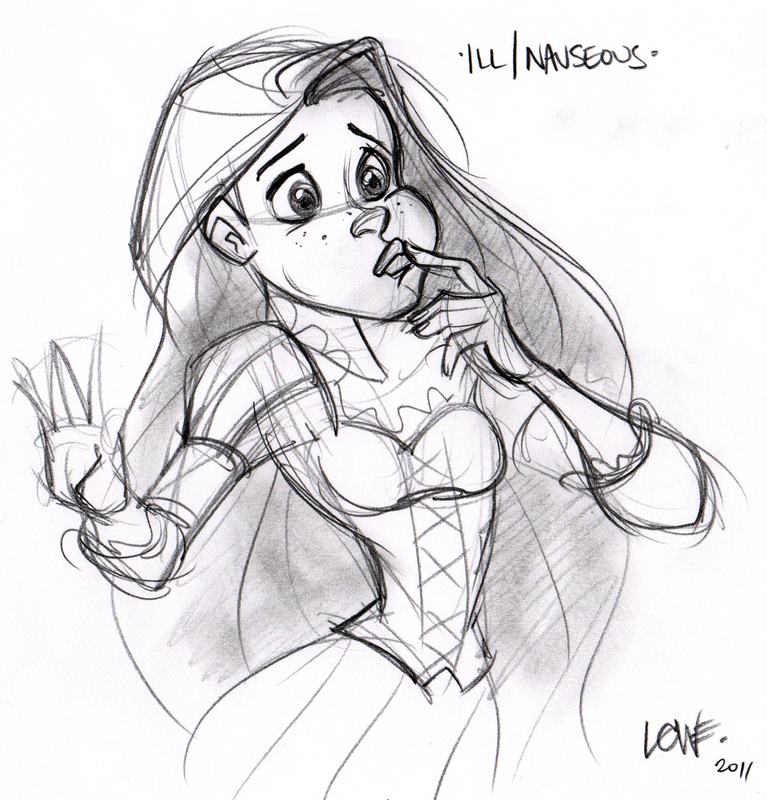 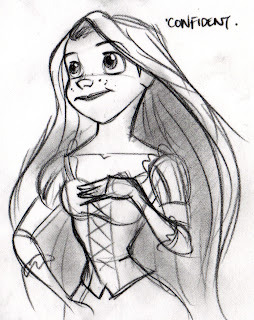 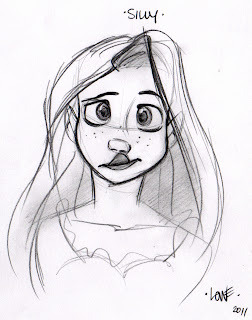 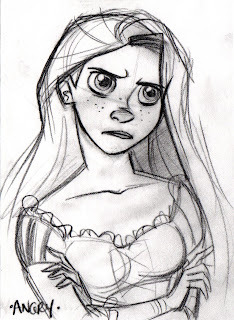 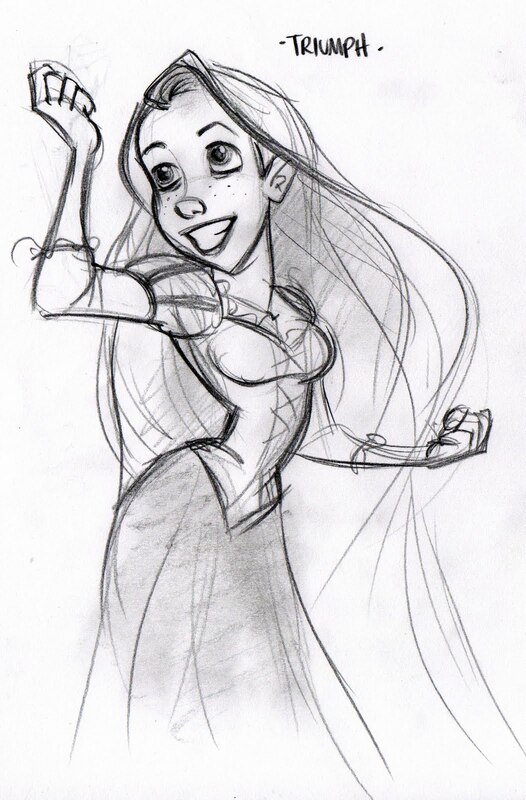 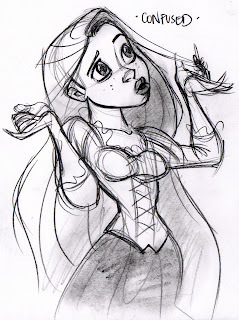 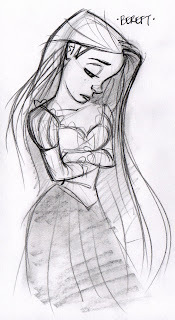 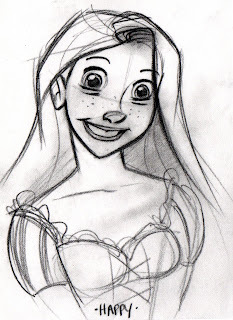 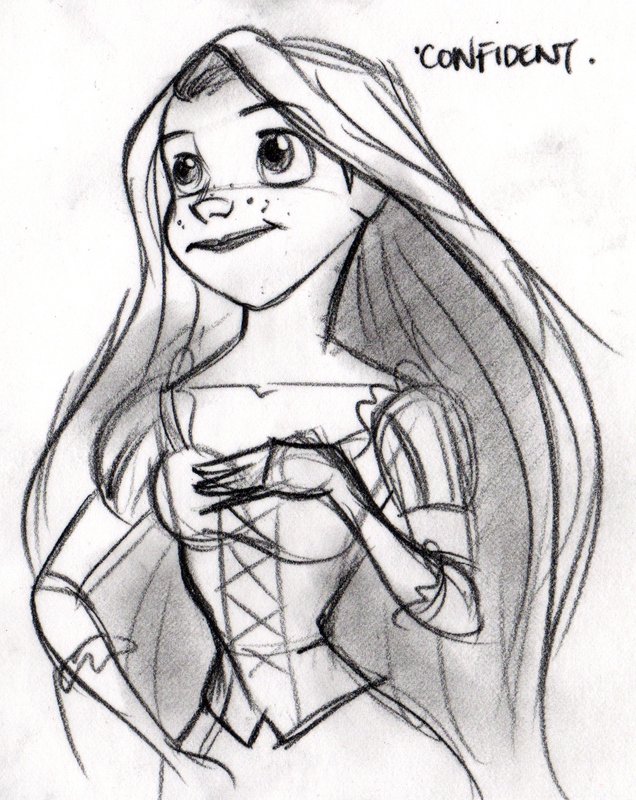 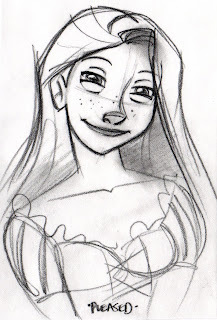 So for my character, I chose Rapunzel. 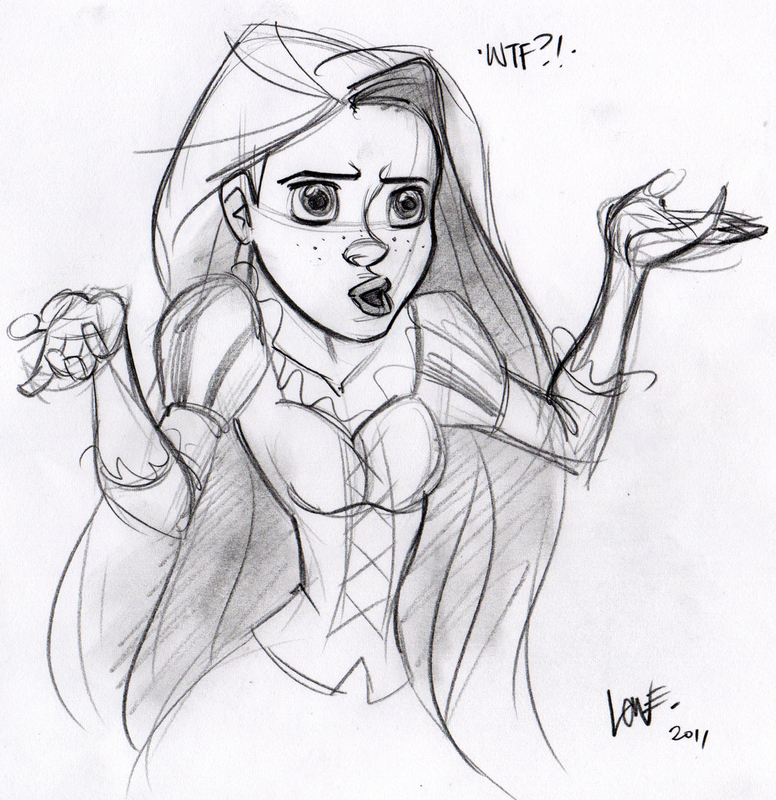 but I don't really know what it means. 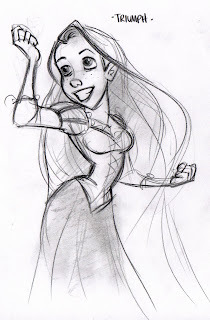 Rapunzel and related entities © The Walt Disney Company.